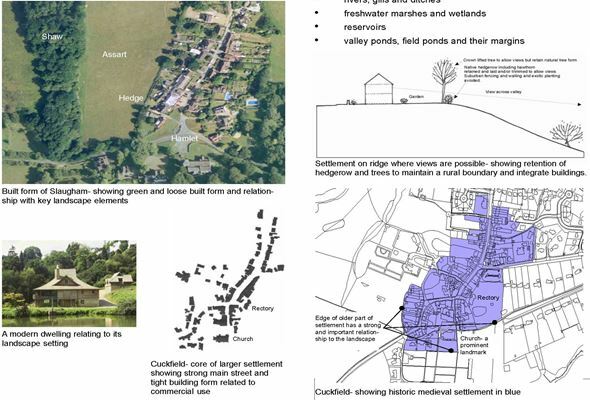 This project was set up to assess how landscape character, settlement character and local distinctiveness studies could be integrated into the new Local Development Framework system. The pattern of settlements and vernacular were explored as well the surrounding landscape. An indicative Supplementary Planning Document was drafted for Character Guidelines. This addressed generic principles and process and also area based guidelines eg High Weald.